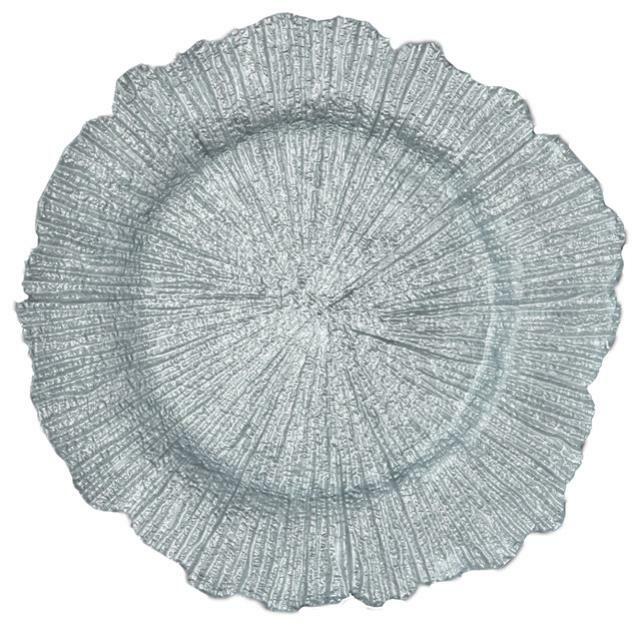 Add elegance to your table and enhance your dinner experience with this SILVER REEF Charger Plate. 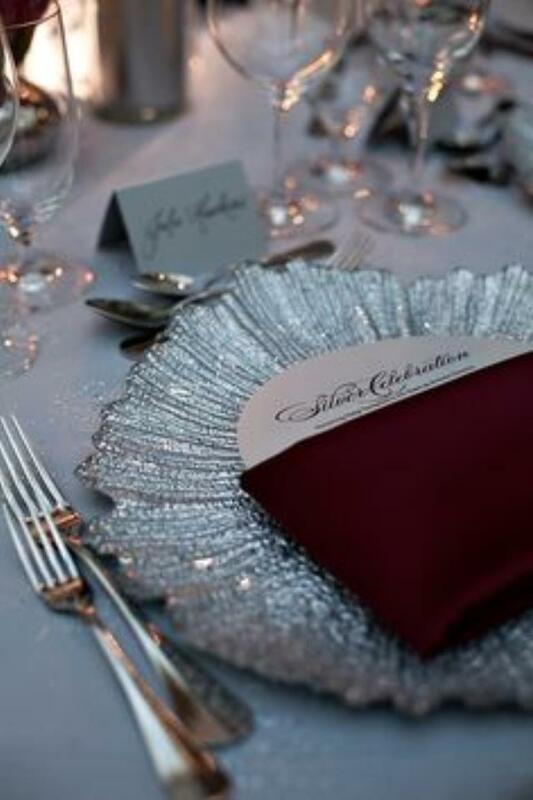 This plate makes the ideal addition to wedding receptions, anniversary parties, and other celebratory occasions with an eye-catching coral reef design and glamorous silver color. It's great for fine dining establishments and intimate eateries too! Made of solid glass, this beautiful charger plate brings an upscale look and feel to your dining experience. 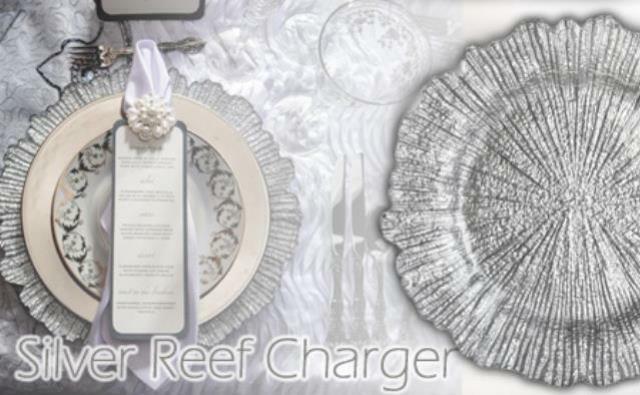 * Please call us for any questions on our charger round glass silver reef rentals in Atlanta GA.